A Georgia man who spent a year in jail for nonpayment of child support — despite the fact he has no children — has been cleared of the debt, his attorney said Tuesday. 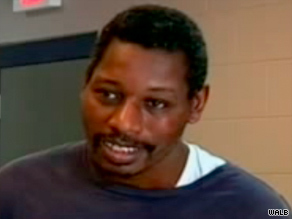 Frank Hatley, 50, spent 13 months in jail for being a deadbeat dad before his release last month. In June 2008, a judge ordered him to jail for failing to reimburse the state for public assistance that was paid to support his “son” — a child who DNA tests proved was not fathered by Hatley. Last week, Cook County Superior Court Judge Dane Perkins signed an order stating, “defendant is no longer responsible for paying any amount of child support.” The order permits the state’s Office of Child Support Services to close its file on Hatley. “We’re satisfied with the result for Mr. Hatley, but still troubled by the state’s monumental lapse of judgment in this case,” attorney Sarah Geraghty with the Atlanta-based Southern Center for Human Rights told CNN in a statement. Hatley did not immediately return a call Tuesday from CNN. His story dates back to 1986, when Hatley had a relationship with Essie Lee Morrison, who gave birth to a son. According to court documents, Morrison told Hatley the child was his, but the two ended their relationship shortly after the child was born. The couple never married and never lived together, the documents said. When the child turned 2, Morrison applied for public support for the child. Under Georgia law, the state, can recoup the cost of the assistance from a child’s non-custodial parent. For 13 years, Hatley made payments to the state until learning in 2000 that the boy might not be his. A DNA test that year confirmed the child was not fathered by Hatley, court documents said. He returned to court and was relieved of any future child support payments, but was ordered to pay more than $16,000 he owed the state before the ruling. Since 2000, Hatley paid that debt down to about $10,000, Geraghty said. Court documents showed he was jailed for six months in 2006 for falling behind on payments during a period of unemployment, but afterward he resumed making payments, continuing to do so even after he lost another job and became homeless in 2008. But last year he became unable to make the payments and was jailed. The argument for keeping Hatley liable for the back payments, according to the attorney who represented him in 2000, was that he signed a consent agreement with the Office of Child Support Services. The court agreed that Hatley had to comply with the consent agreement for the period he believed the child was his son, said attorney Latesha Bradley. But many, including Cook County Sheriff Johnny Daughtrey, didn’t think Hatley’s incarceration was fair, given that the child was not his. “I knew the gentleman’s plight and didn’t know how to help him,” Daughtrey told CNN last month. When the Southern Center for Human Rights visited the jail earlier this year, Daughtrey told them about Hatley’s case. Hatley was released from jail last month after Perkins ruled he was indigent and should not be jailed for failing to make the payments. Two things still remain to be cleared up for Hatley, Geraghty said — lifting the child-support holds on his driver’s license and his income tax. It remains unclear whether he will be reimbursed for the $6,000 in payments he made since 2000, she said — so far, he has not been. Cook County, Georgia, is in the south-central part of the state, about 200 miles south of Atlanta.